A warm welcome from Rarotonga in the Cook Islands. The most heavenly place on earth, we call it Home - you'll call it Paradise! Our team of qualified staff have over 30 years collective experience working extensively across the travel industry. We provide professional planning for Group Travels, Conferences, Events and much more. DMCK is a full service Destination Management Company specialising in meetings, conferences, incentive reward travel and event management including groups, conferences, weddings and cruise visits. "Cook Islands Squash Open Tournament"
"Round Rarotonga Road Race "
"BSP Netball In Paradise "
ON LAND, THE COOK ISLANDS offer an exceptional array of activities to experiences. From the sensuous excitement of cultural dance performances, annual festivals celebrating Cook Islands history and culture, to the rich tapestry of artistic endeavors created by the people. For adventure seekers, these islands offer no limits on things to put yourself through. From thrilling jungle adventure rides by quad bike or Safari Tours, to kayaking or kite-surfing in the lagoons. 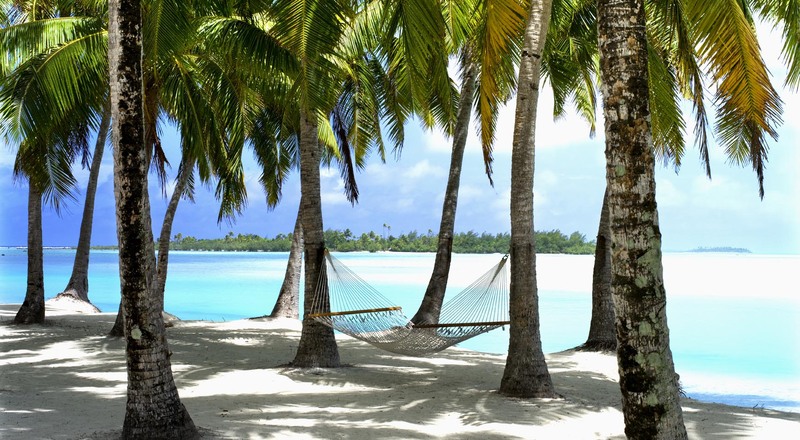 The Cook Islands has a wealth of land and water-based pursuits all readily available for you. The Cook Islands boast a veritable pantry overflowing with delectable local ingredients from its fertile soils and the surrounding ocean. Mouth-watering tropical fruits, blended with the tantalizing flavours of the sea, are infused to create delicious combinations of Pacific and International cuisine. The array of fine dining establishments, serving their fare in the most seductive of settings, makes the Cook Islands a magical culinary experience. At the end of each day, when you’re finally ready to put your feet up, our world-class accommodation facilities, offering therapeutic massage and soothing spa treatments, breath-taking locations, and individual luxury service, makes the Cook Islands one of the most rewarding experiences imaginable. We are a dedicated and passionate team driven by putting on great and fun events, adding that Cook Island flavor to every thing we do! We endeavour to efficiently and professionally cater for your entire destination management requirements, providing you with a full range of services and amenities in the Cook Islands, be it for a large conference or wedding function, major sporting event, a tailored incentive or group holiday package, or a simple gathering of friends or colleagues just looking for a special place to relax and unwind in the sun. DMCK partners with a wide range of suppliers in the Cook Islands to provide you with an exciting array of activities to experience, great for team building on both Rarotonga and Aitutaki. For leisure group travellers, the Cook Islands are much more than just another destination to tick off on their list, the Cook Islands epitomise all that we think of when we imagine the ultimate holiday experience. DMCK –Destination Management Cook Islands– are the Shore Excursion Handling Agents for all Cruise Ship companies visiting the Cook Islands group and we proudly welcome Cruise Ship visitors to our country.